This design was inspired by a painted wooden Christmas ornament that depicts Santa in the shape of a Christmas tree cookie cutter. 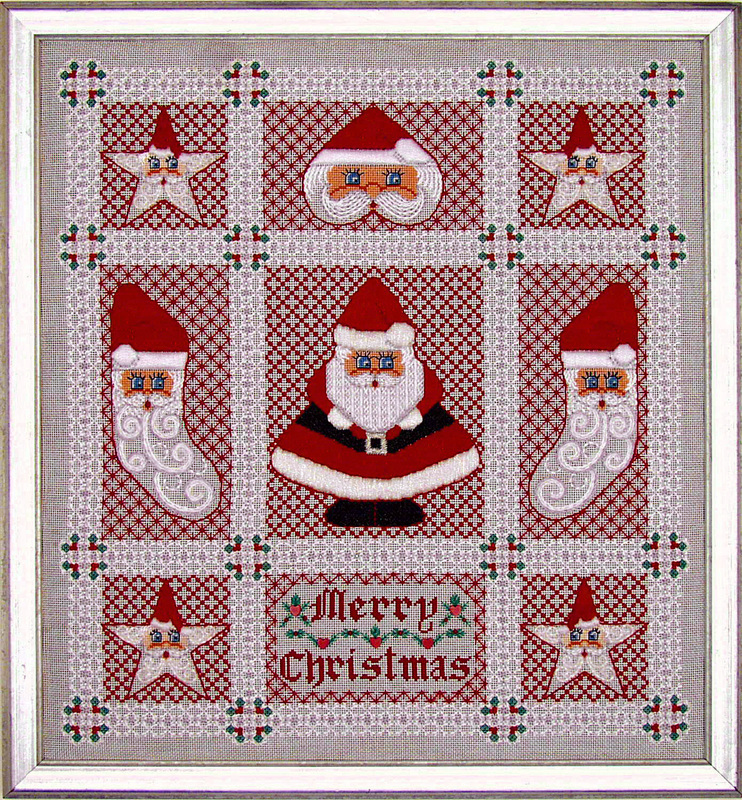 Using this as a "centerpiece," a nine-patch sampler was created that arranges other cookie shapes (stars, stockings and a heart) around the central figure. The nine-patch design has an elegant border that is stitched in an original open composite pattern based on an extended Hungarian stitch. The negative space created by this stitch forms a natural circle that creates a lovely wreath corner motif at each intersection where the border lines converge or intersect.